CM Studio accepts your custom requests! Please call us or send us an e-mail for more information and complete details from one of our dinosaur experts. 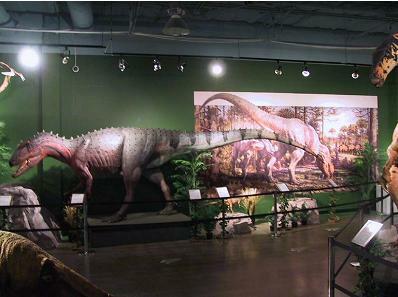 CM Studio produces realistic dinosaur models and sculptures in both life-size and scale models. All dinosaur models are offered in both resin and bronze castings, and are popular with both museums and private collectors alike. l. to r. Pat McGrady, Pete Gietl, Shane Rosentrettor, Tilly the Dog, Charlie McGrady, Todd Hoelmer, Ray Emmenderfer, Brian Page, Jim Wilson. HARRY POTTER'S JK ROWLING has been honored by palaeontologists who named a recently discovered dinosaur after her, because it reminded them of a beast featured in her HARRY POTTER books. 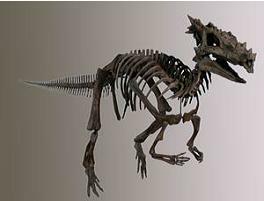 The British author is "thrilled" by the news the 66-million-year-old reptile with a spiky head has been christened Dracorex hogwartsia. A literal translation of the Latin name Dracorex is 'dragon king', while hogwartsia is inspired by the Hogwarts School attended by the young wizard Potter. Rowling says, "The naming of Dracorex hogwartsia is easily the most unexpected honor to have come my way since the publication of the Harry Potter books. "I am absolutely thrilled to think that Hogwarts has made a small mark upon the fascinating world of dinosaurs. "I happen to know more on the subject of palaeontology than many might credit, because my eldest daughter was Utahraptor-obsessed and I am now living with a passionate Tyrannosaurus rex-lover, aged three. My credibility has soared within my science-loving family." Renowned scientist ROBERT BAKKER, who helped devise the name, says, "The creature is a very special dinosaur that seems at home in a Harry Potter adventure. Honoring an author with a species name is rare. But it should be done more often. 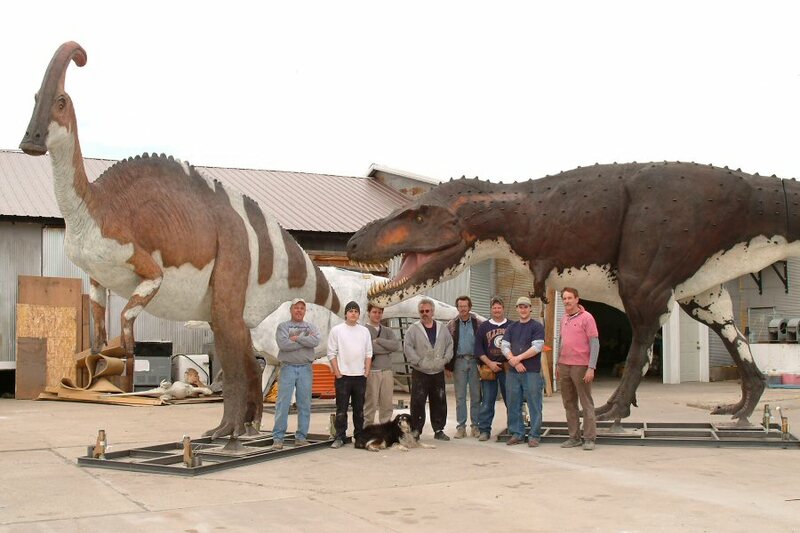 See pictures of the recently completed Life Size Allosaurus reconstruction. CM Studio recently completed work for a traveling dinosaur exhibit. Click here for more news and photos!